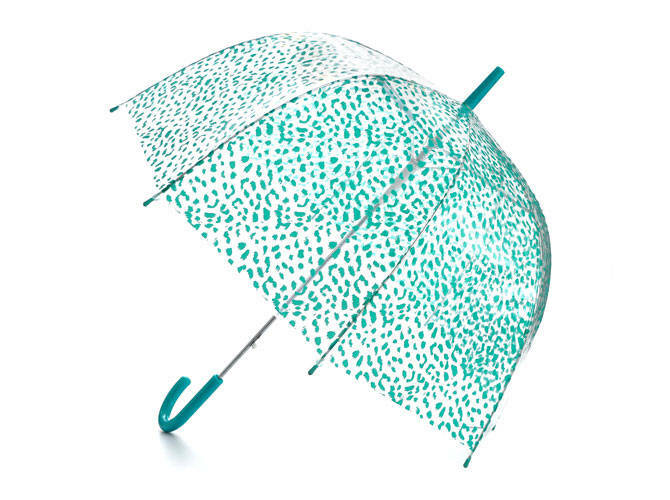 You'll long for rainy days with these umbrellas too pretty not to show off. Gloomy skies, heavy rain showers, ridiculous traffic jams—yup, sweater weather has officially begun. While the rainy season is dampening our moods just a wee bit (getting out of bed has become more difficult), we're not about to let it cramp our style. So we're putting on our fave waterproof shoes and turning the umbrella into a legit accessory. Browse through the gallery to find out where you can buy the most stylish umbrella-ella-ellas so you—and your chic little outfit—can stay dry this season.